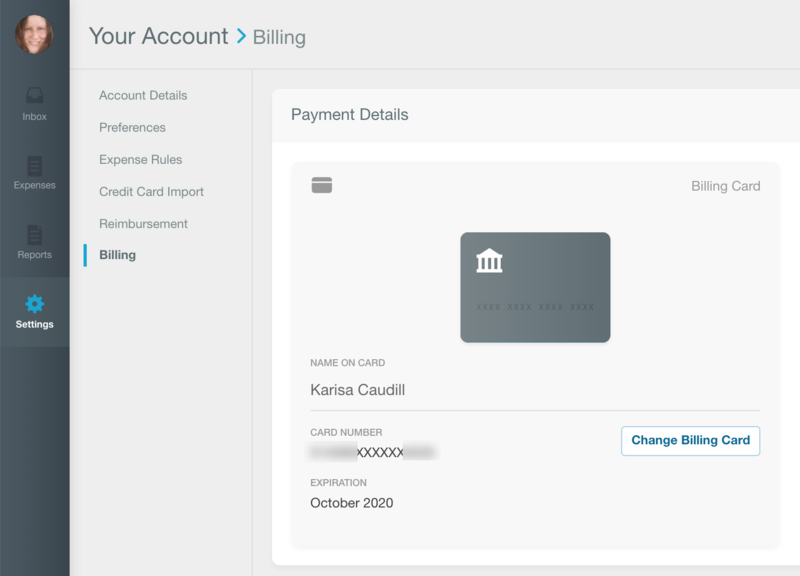 For Billing Owners' eyes only: All the juicy details on how to manage your payment card, currency, and billing receipts! If you're looking to downgrade to a free account, you can learn how to change your Billing Options here. As a subscription owner, you can manage your payment method and billing receipts by logging into your account from a web browser, and then navigating to Settings > Your Account > Billing. Billing Card Under the Billing Card section, just click the Change Billing Card button to replace your existing card on file. Billing Currency Under the Billing Currency section, click the Change Billing Currency and select a new preferred currency. You’ll need to reverify the card by re-entering the CVC code of the billing card on file. You can pay for Expensify in USD, GBP, NZD or AUD. If you've signed up for a Subscription via an in-app purchase on your iPhone or iPad, you'll need to manage this subscription through your Apple iTunes account. You can learn more about managing your subscriptions via iTunes on Apple's help site. Whenever your billing card is charged, you can find a copy of the receipt in the subscription owner’s Billing History, Expenses page, and email. Billing History All billing related receipts can be found from the Billing History section of your Billing page. Click on the View Receipt link to find a detailed breakdown of your purchase. Expenses page Billing receipts are automatically SmartScanned into your account for easy reporting or reimbursement. You can find the receipt on your Expenses page by searching for the merchant “Expensify”. Email A copy of the receipt is always sent to the email associated with the subscription owner. From the email, you can review the total charges billed. There can only be one subscription owner per policy. If you would like to have another user take over billing for a group policy, you'll need to ask a current Policy Admin to Take Over Billing. This admin will be charged for all the active users on all policies they own.